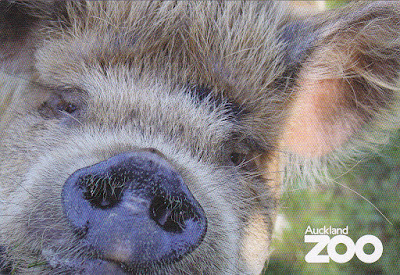 Kunekune Pig of Auckland Zoo. 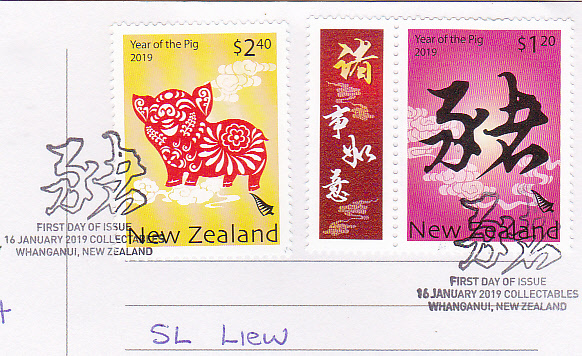 Year of Pig stamps used. Thanks to Marice of New Zealand.